Christianity is not a “lone ranger” religion. We are not a collection of isolated people doing “our own thing.” Although we are saved as individuals, we are brought into fellowship with “one another”! This corporate aspect of Christian life is impressed upon us again and again in the New Testament. The statement, “one another,” which occurs some 35 times in our Bibles, is a testimony to this fact. The author looks at each of these “one another” statements with a brief but poignant study of each. 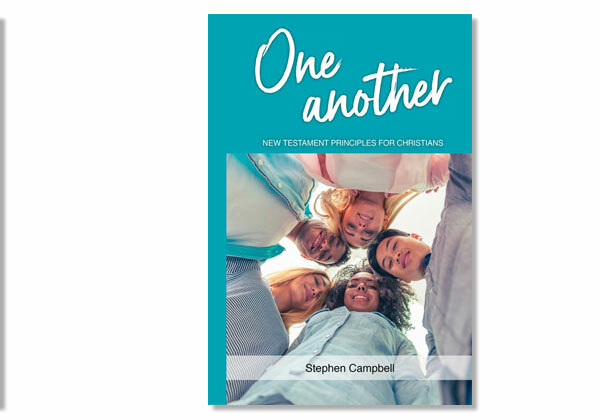 A “Notepad” of study questions is included at the end of each chapter making this book perfect for a group Bible Study session. Contemporary, concise, and easy-to-read, this is an ideal study format for our fast-paced world.